If you’re in the tech world and you don’t follow Box CEO Aaron Levie on Twitter, do yourself a favour and start. His tweets are a steady stream of sharp-witted humour on the drama of the day. The thing that both winning and losing a senate seat have in common: you won’t pass or change many laws. This is how it starts. One day Taylor Swift pulls her music from Spotify. The next, we’re using AOL and having to hail taxis again. You could basically sell me anything right now if you took Apple Pay, including on-premise software. Steve Nellis did a Q&A with Levie, Nellis couldn’t help but ask him who he considers the “must-follow” folks on Twitter. The Diminished iPadhttp://t.co/x3U8TapVR8Few care about Apple’s event because iPad isn’t indispensable. Apple deserves blame. Congratulations to @CharlieCrist who has now lost a statewide election in Florida as a Republican, Independent & Democrat. As to anyone on Levie’s “#unfollow” list? 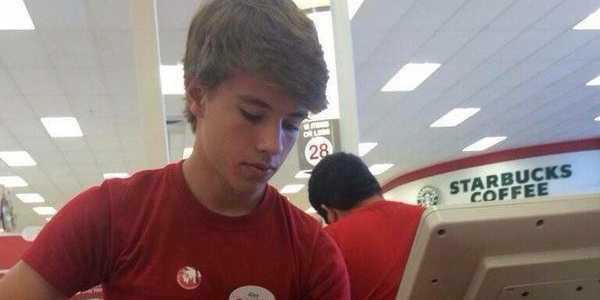 “Well, I haven’t followed #alexfromtarget,” he quips.